Disney Princess Storybook Dining is the place to go if you want to be assured that you will dine with a Princess at Walt Disney World. It is one of the very few Disney World restaurants where you can meet a Disney Princess. 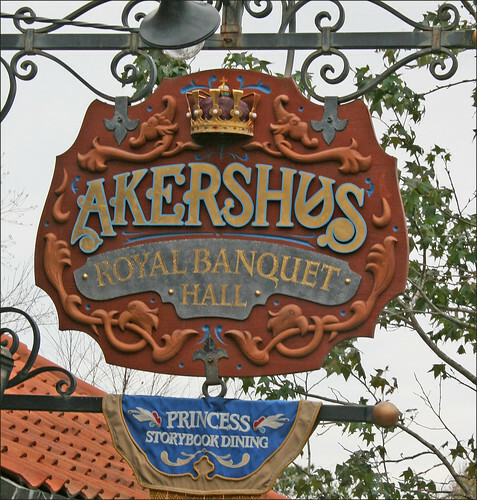 The Disney Princess Storybook Dining experience is available at Restaurant Akershus Royal Banquet Hall in the Norway Pavilion at Epcot. Breakfast, lunch and dinner is available. The Princess Storybook Dining is one of the most popular of all of the Disney Character Dining Restaurants. You need to book ahead. 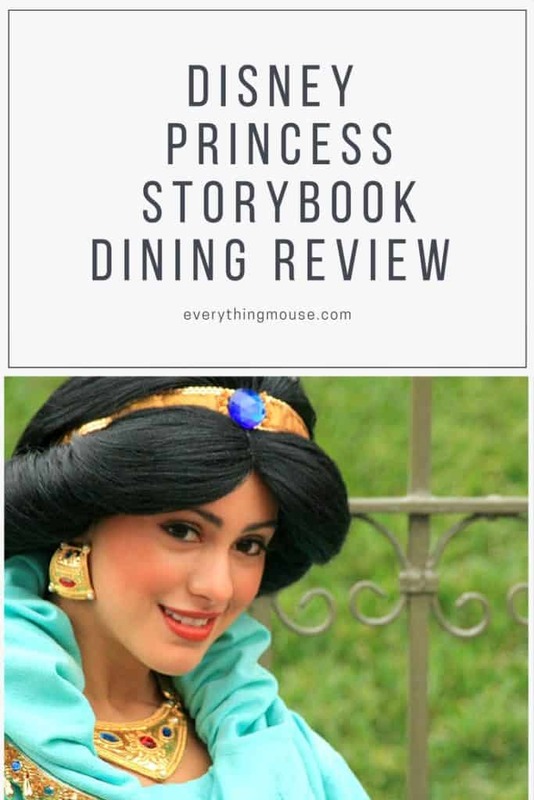 What is the Princess Storybook Dining Experience? We think that this is best character meal at Disney World if you are looking to meet the most Disney Princesses. Of course you have Cinderella’s Royal Table in Magic Kingdom. However, the Princess Storybook Dining has the most Princesses gathered in one restaurant! Which Disney Princesses will be there? As with all Disney World Character Dining everything is subject to change and you cannot guarantee a particular Princess will be there. 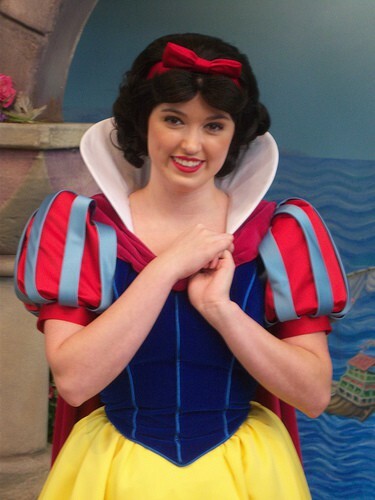 However, Princess Aurora, Belle, Ariel, Princess Jasmine and Snow White may be there. Sometimes Mulan appears although that seems to be more rare. Even though the Princess Storybook dining is located in the Norway Pavilion, do not expect to see Princess Anna and Queen Elsa there. Mary Poppins also often makes an appearance – although I can never quite understand what qualifies her to be among the Princesses. Storybook Dining is a rare opportunity to see Ariel in her ball gown. Of course it would be a little difficult if she wasn’t in her human form! During the meal the Princesses visit you at your table. There is plenty of opportunity to take pictures and get their autograph. The Storybook Dining experience is consistently one of the best places to get maximum time with the Princesses. Will you see Cinderella? She does sometimes appear but it is pretty rare. If you want to see Cinderella then try to get one of those very difficult to snag reservations at Cinderella’s Royal Table or go for dinner at 1900 Park Fare in the Grand Floridian for Cinderella’s Gala Feast. Every Princess Dining Experience includes a picture package. A souvenir picture will be taken of your party in the restaurant lobby. The photo packet has four 4×6 prints, one 6×8 print, and a 6×8 photo of the castle presented in a Cinderella themed folder. Parties of 1-6 get one photo packet, parties of 7-11 get two, parties of 12-15 get three and parties of 16 or more get six photo packages. 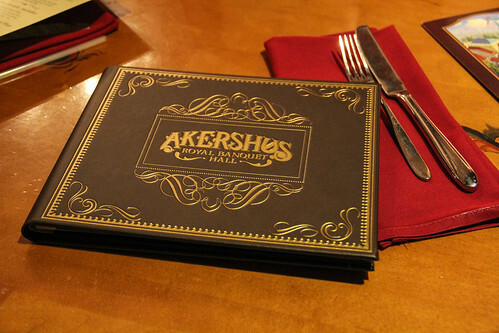 Akershus is located in the Norway Pavilion of Epcot World Showcase. It is an amazingly themed recreation of a 14th century Norwegian castle. High ceilings with huge wooden beams, rustic chandeliers, stained glass windows and atmospheric lighting make this a fitting venue for the Disney Princesses. All of the Disney character dining restaurants operate seasonal pricing. What this means is that meals are charged at different rates depending upon the date. Prices will be higher on Holidays such as Christmas and Thanksgiving for example. Does It Help Get Me in Line for Frozen Ever After? Anna and Elsa do not appear in the Disney Princess Storybook Restaurant. However, getting a breakfast reservation in Akershus can help to reduce your time spent waiting in line for the Frozen Ever After ride in the Norway Pavilion. How does this work? Akershus opens before the general park opening time, so you will be able to be one of the first guests to enter Epcot in the morning. If you get an 8 am reservation you will be able to enter at around 7.40 am and get to the restaurant. The Frozen Ever After ride opens at 9 am. Everyone will be heading to the ride – it is the most popular ride in Epcot. Waits of over 2 hours are common. If you want to try to get in the line as soon as possible you should book an 8 am reservation. Then explain to your waitress that you want to be finished with your meal by 8.50 am. They are used to this request. Your meal will be a bit rushed, but some people decide to do it as it can cut your wait time down considerably for Frozen Ever After. You can read more about this tactic and other ways to see Anna and Elsa in Disney World. The breakfast costs between $43.86 and $50.85 for adults and $26.49 and $28.68 for children aged 3 to 9. It is served from 8.30 am to 11.00 am. The breakfast is served family style which means that it is brought pre plated to your table. It is all you care to eat so you can ask for more! The breakfast includes the usual favorites: Scrambled Eggs, Sausage, Bacon, Cheese Danish, Fresh Fruit, Breakfast Breads including Cinnamon Rolls, Potato Casserole. Juice and Coffee refills are also included. There is also a healthier option of Yoghurt and Museli. The price for the Lunch is between $44.53 and $50.05 for adults and $27.55 to $30.75 for children aged 3 to 9. This includes tax but not gratuity. You can also use a Dining Credit if you are on the Disney Dining Plan. The Lunch is both selections from the cold buffet table and made to order hot entrees. 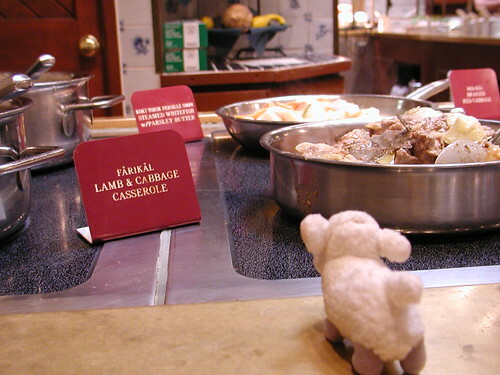 The buffet table is called ‘A Taste of Norway’. This is a small buffet table which includes a good selection of salads, meats,cheese, seafood and breads. This is a little different from the usual offerings of a cold buffet and it is good for those who are prepared to try something out of the ordinary. Picky eaters of all ages may find a bit of a problem here! Guests also choose from a menu of hot entrees. These include an excellent Norwegian Turkey Club, Oven-roasted Chicken Breast and Pan-seared Salmon with Roasted Potato Cake, Pickled Fennel Slaw and Aquavit Cream Sauce. If you want to try a Norwegian dish then Traditional Kjottkake is available. This is ground beef and pork dumplings with lingonberry sauce. There is also a children’s menu. This includes cheese pizza, hot dogs and grilled chicken breast. The lunch includes free tea, coffee and non alcoholic drinks. There is also a list of cocktails with a Norwegian theme all for around $10. This is the same style as the lunch but it does have different entree choices. The cost is between $48.85 and $55.37 for adults and $28.55 to $32.81 for children aged 3 to 9. Guests can choose from the Taste of Norway buffet table. Entrees include Pan Seared Salmon, Oven-roasted Chicken Breast, Traditional Kjottkake, Norwegian Turkey Club, House-made Potato and Goat Cheese Ravioli and Slow-cooked Beef Sandwich. Kids have their own menu which includes Elbow Macaroni, Meatballs and Pizza. Mickey Check Meals are also available. The desserts are served family style and include Sweet and Savory Chocolate Mousse, Traditional Rice Cream and Apple Cake. Is Disney Princess Storybook Dining Worth It? 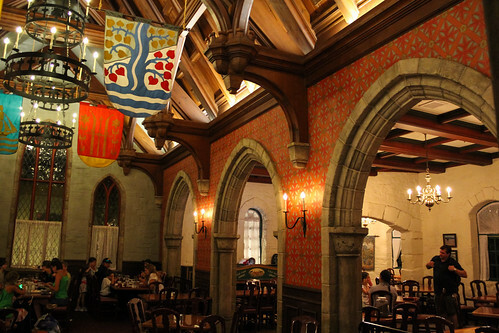 How is the food in the Princess Storybook Dining restaurant? Opinions vary of course but most guests do enjoy it even though it is rather different to the usual buffet fare offered at Disney character dining restaurants. For those of us who remember the old Akershus before the Princesses arrive then I would say that the quality went down as soon as the royals took over. And of course the price went up. Unless you want to pay the price to see the Princesses then this really is not a great choice anymore. However, for guests who want to find one of the best places to meet the Disney Princesses then this has to be a winner. If you have picky eaters then choose the breakfast as this has the usual conventional choices, and of course is lower priced too. It can also help get that coveted place in line for Frozen Ever After – that can be worth it’s weight in gold!